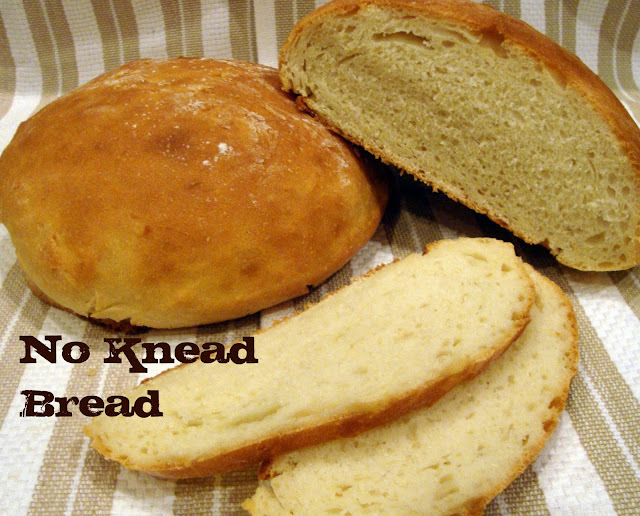 No Knead Bread - Chocolate Chocolate and More! I’m on a bread kick. I can’t help it. Nothing’s better than home baked bread. We haven’t bought a loaf of bread from the store in weeks. I’ve made Beer Bread, White bread, Garlic Bread Sticks, Hawaiian Honey Bread, rolls, Chocolate Swirl Bread. And others that I never thought to take pictures of before I started blogging. I just love to try other people’s recipes. Melissa, over at Chin Deep is an accomplished Bread baker. And her photography is beautiful. Everything she posts just welcomes you, like coming home. I could spend days on her blog. And it’s not just food. She posts about date night with her hubby, decorating and craft projects. One of the first posts I noticed from Melissa was a sewing project, a purse made by her daughter Grace. Melissa not only shares with us but is passing all her wonderful talent on to her daughter. And Melissa has written 2 books. This lady knows what she’s doing. So since I’m on my bread kick. I decide to go over to Chin Deep and just get lost. I found several recipes I want to try but this one was first on the list for me. Place 2 cups of your flour (I did not sift) sugar, salt and yeast in a mixing bowl. Combine water, milk and oil and heat till warm, not hot (about 30-40 seconds in the microwave.) Add egg to your liquids then add the liquids to your flour mixture using a whisk. It will resemble a thin pancake batter. Now add the remaining flour and mix with a wooden spoon till all combined. This will only take a minute or two. Cover with a greased or buttered piece of plastic wrap and let rise in a warm place for 2 hours, until doubled in size. Gently press down dough with well floured hand. Then divide dough in half, this is a sticky dough, keep your hands well floured. and place on greased pans, cooking sheets or loaf pans. I used two pie plates. Bake in a preheated 350 degree oven for 35 minutes. We ate this bread with dinner just buttered. Then had some at breakfasted toasted with butter and jelly. Then for lunch, we made grilled Cheese Sandwiches with it. The best grilled cheese, ever! Oh, I love making my own bread, too! There is nothing better than the smell and taste of fresh bread. And it makes a mean grilled cheese sandwich, too!! p.s. I’m on a bread kick, too. I’ve never been good at making bread but this seems so simple. I’m going to have to give it a try! Oh my gosh–that last picture with the grilled cheese has my mouth watering. Again! You really make me hungry when I visit your blog late at night! 🙂 I’ll have to try this out! Thanks for sharing at oopsey daisy!